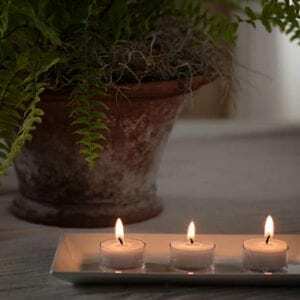 Maine Candle Classics! 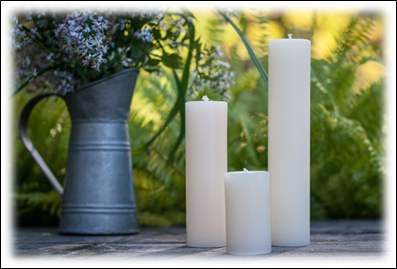 Our tin mold pillars are hand poured with 100% pure beeswax. 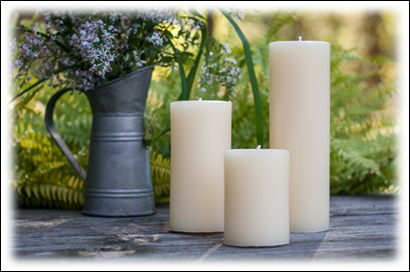 The classic pillar style makes these beeswax candles ideal for city, country or seaside. Place some shells, sea glass or whatever speaks to you around the base and one large pillar will speak for itself! Our signature tin mold round beeswax pillars come in three sizes and all of our most popular colors. Small: 3 x 4 inches, medium: 3 x 6 inches, large: 3 x 9 inches. Available in all our Seapoint Colors.